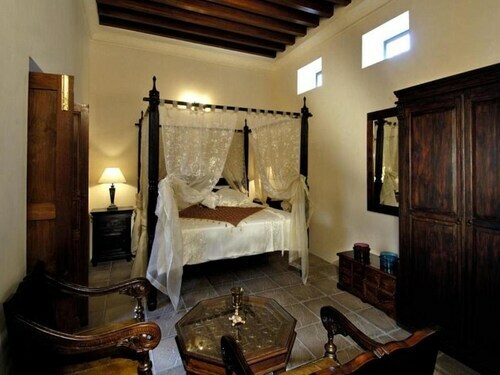 Located in Bur Dubai, this historic guesthouse is within a 5-minute walk of Bastakiya and Dubai Museum. BurJuman Mall and Gold Souk are also within 1 mile (2 km). Saeediya Station is 11 minutes by foot and Khalid Bin Al Waleed Station is 21 minutes. 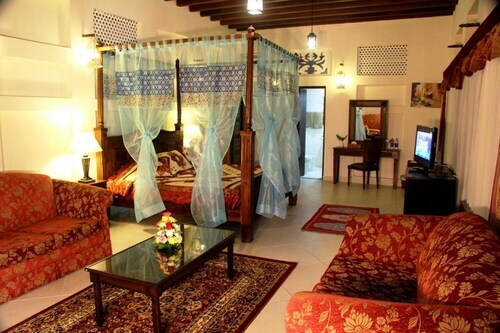 Located in Deira, this guesthouse is within a 5-minute walk of Spice Souk and Gold Souk. Dubai Museum and Meena Bazaar are also within 1 mile (2 km). Al Ras Station is 7 minutes by foot and Baniyas Square Station is 18 minutes. Located in Bur Dubai, this guesthouse is within a 15-minute walk of Sheikh Saeed Al Maktoum House, Dubai Museum and Meena Bazaar. Gold Souk and BurJuman Mall are also within 2 miles (3 km). Al Ghubaiba Station is 7 minutes by foot and Baniyas Square Station is 17 minutes. 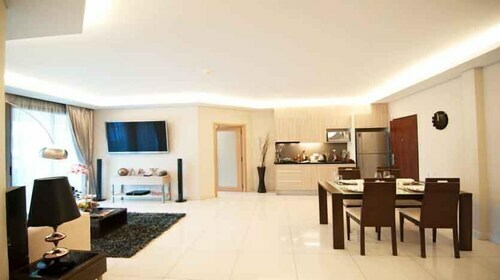 Situated in Sharjah, this guesthouse is within 1 mi (2 km) of Sharjah Art Museum and Rolla Mall. King Faisal Mosque and Sharjah Ladies Club are also within 2 miles (3 km). 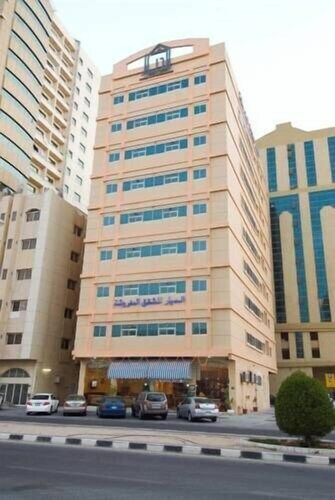 Located in Deira, this guesthouse is within 1 mi (2 km) of Reef Mall and Al Ghurair Centre. Gold Souk and City Centre Deira are also within 3 miles (5 km). Salah Al Din Station is 7 minutes by foot and Abu Baker Al Siddique Station is 18 minutes. 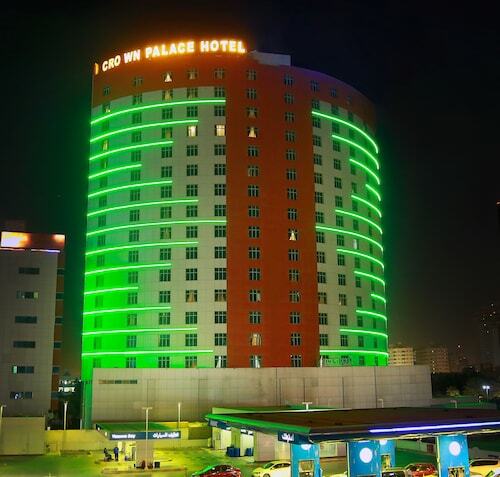 This guesthouse is located in Dubai (Trade Center), close to City Walk, Burj Khalifa, and Dubai Mall. Also nearby are Dubai Fountain and Dubai Opera. Before waxing lyrical about all the delights of the personal service and intimate suites that are on offer from Ajman Guest Houses, it's worth pointing out that these scaled-down hotels can be a real bargain. 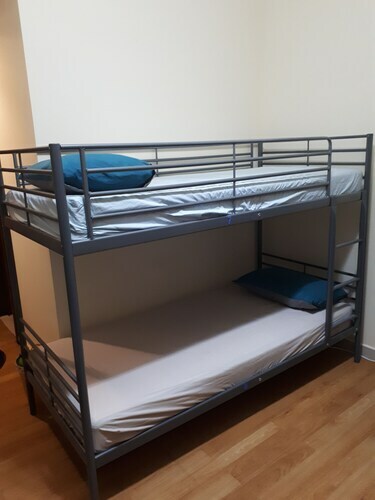 You'll often find that room rates in the top holiday guest houses are nowhere near as high as the room rates in the top resorts, which means budget-conscious travellers looking to balance comfort and cost will find plenty of love in this sort of accommodation. You might find yourself bedding down in more out-of-town locations, but the added peace and quiet, the sense of adventure in going off the beaten track, and the extra care and attention that often goes into each guest house stay means that it's typically money well saved. There's such a diversity of Guest Houses on ebookers today that you're bound to find something that fits your travel brief. That could mean an uber-romantic suite in a heritage-rich building, or a swish 4-poster in a stylish boutique where the ensuite bathrooms burst with bespoke soaps and hand creams. It could mean something simpler, making the most of the peace and quiet of suburbia, or a more central residence right in the thick of the action. The upshot is that a stay in a guest house can mean experiencing plenty of character and charm. It's rare that you'll find an establishment like this that doesn't have its very own quirks and nuances, and doesn't do something to go the extra mile and create a space that's special and different. 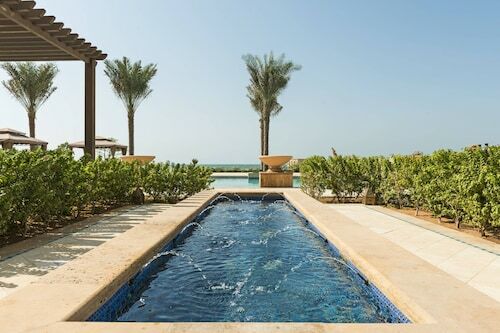 So, for explorers who like to taste the local vibes and really get stuck into a destination, Ajman Guest Houses might just be the perfect choice. When it comes to facilities, holiday guest houses cover all the bases for the casual traveller. Priding themselves on comfy bedspreads and clean bathrooms, the basics are certainly taken care of. Then come the extras, the little touches that set these sorts of stays apart. They could be anything from home-cooked breakfasts in the morning to on-site bars with noir decor and mixologists ready to create. 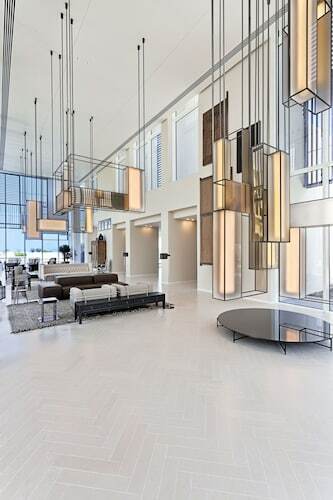 They could be plush lounge spaces with wood fires, or something as simple as a welcoming chat when you check-in. It's now easier than ever to pinpoint the perfect Ajman Guest Houses. Using our intelligent map tool, you can freely zoom in and out of any destination to reveal all the top-rated options that fit the bill. That's great news for travellers who have an idea of what sort of trip they're after, but also for those who don't – you're bound to find something to stoke the wanderlust as you sift through all those honeymooner boutiques and budget-friendly lodges. All you need to do is enter the dates you're planning on travelling and ebookers will do the rest.